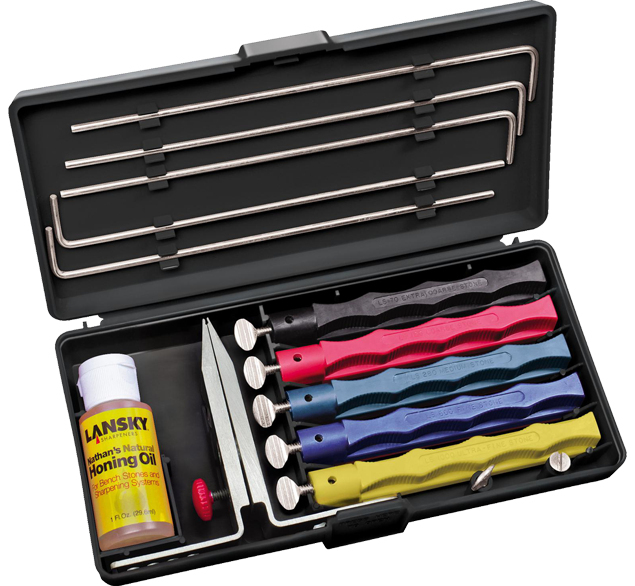 The Deluxe Lansky Sharpening System is an effective way to sharpen all your sporting, hobby, and household knives. The patented Lansky System makes it easy for you to get the consistent angle you need for a professional edge on every knife. Knife clamp has settings for 17, 20, 25 and 30 degree angles. Additional accessories available for the Lansky Sharpening System include the Pedestal Mount, the Super C Clamp, and the Universal Mount.